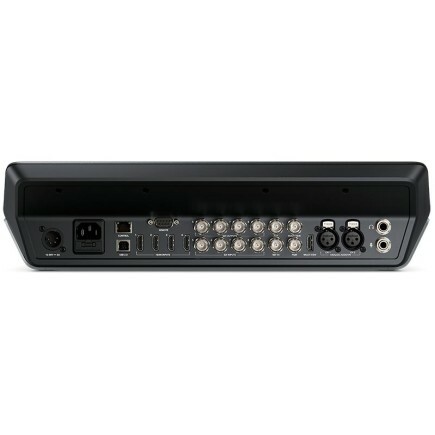 ATEM Television Studio Pro HD is a broadcast quality all in one live production switcher with integrated hardware control panel designed for both broadcast and professional AV users. 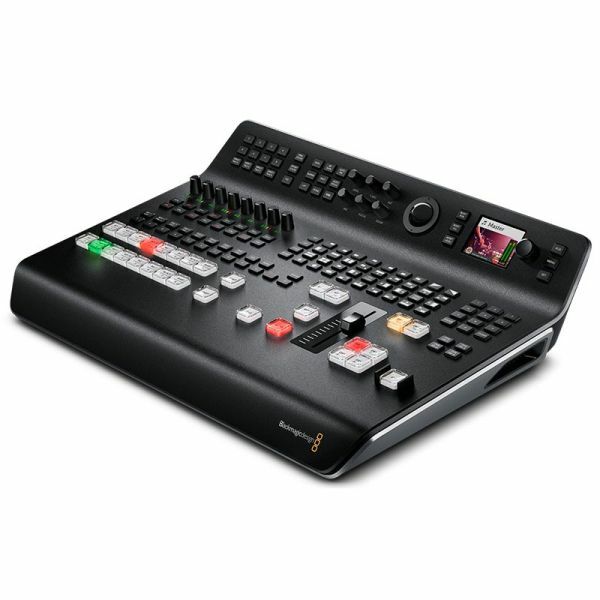 ATEM Television Studio Pro HD features 8 inputs, multiview, auxiliary and program outputs, analogue audio inputs, built in talkback, two flash based media players, professional creative transitions, a DVE for effects and more. ATEM Television Studio Pro HD is compatible with all SD and HD formats up to 1080p60 and also features two channels of analogue audio in, RS-422, Ethernet and a built in IEC power supply, along with program and auxiliary outputs. Customers also get both SDI and HDMI multiview outputs so they can monitor all sources, preview and program outputs, along with labels, audio meters and more, all on a single big screen television or broadcast monitor. When used with Blackmagic Studio and URSA Mini cameras, customers get a complete remote control solution that includes talkback, tally, colour correction, camera control and more, without having to add any additional cables or proprietary control boxes. These cameras feature a built in colour corrector that can be remote controlled, making it possible to balance camera colour and create unique looks, all from the control panel. In addition, customers can adjust focus and iris on compatible lenses, change camera settings, and even remote control PTZ heads. 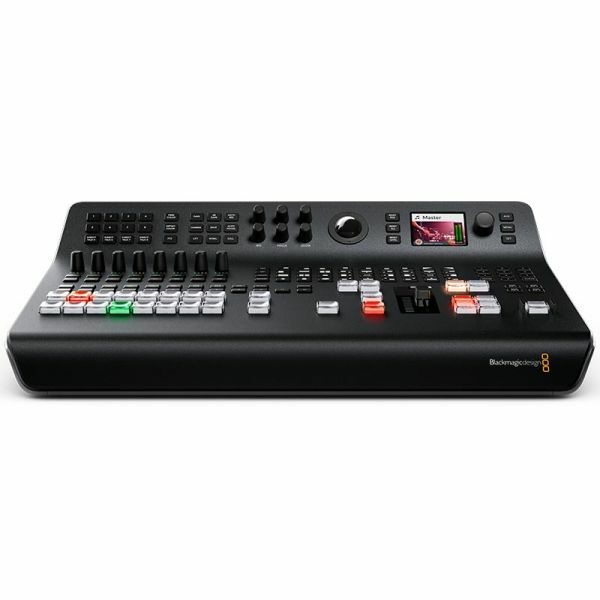 For maximum speed and flexibility in live productions, ATEM Television Studio Pro HD includes a free software control panel for Mac and Windows that allows multiple users to be connected at the same time. That means customers can have one person switching the program while another mixes the audio and another uploads or changes graphics, while another person remotely colour balances and controls the cameras. The software control panel features an intuitive interface with different pages for switching, managing media, mixing audio, and remote controlling and colour correcting cameras. 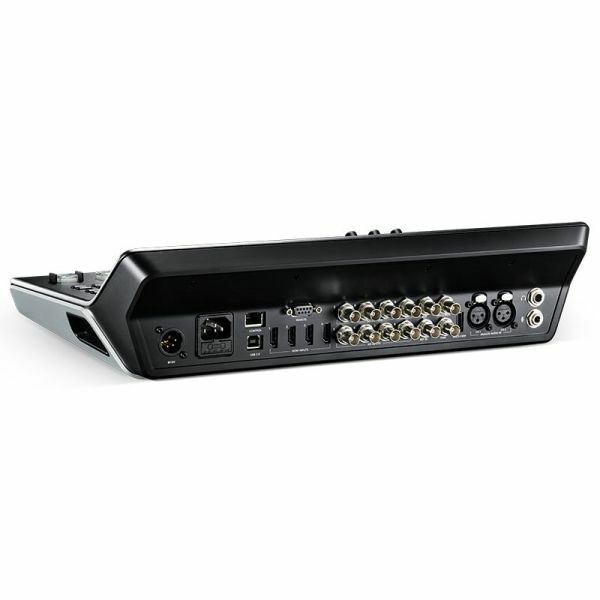 The Switcher page is modeled after a physical hardware control panel making it fast and easy for customers to switch between sources, adjust transitions, add upstream and downstream keyers, and more. 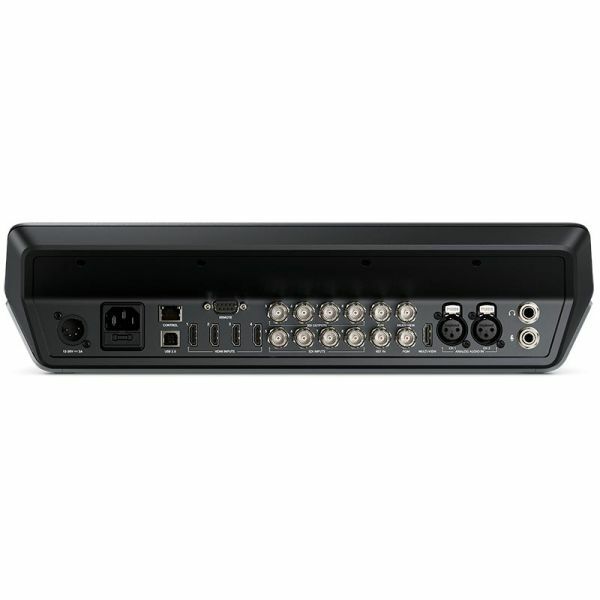 The Media page lets customers drag and drop up to 20 RGBA graphics into the media pool and automatically upload them to the switcher’s flash memory so they can be recalled and used in realtime during a live program. 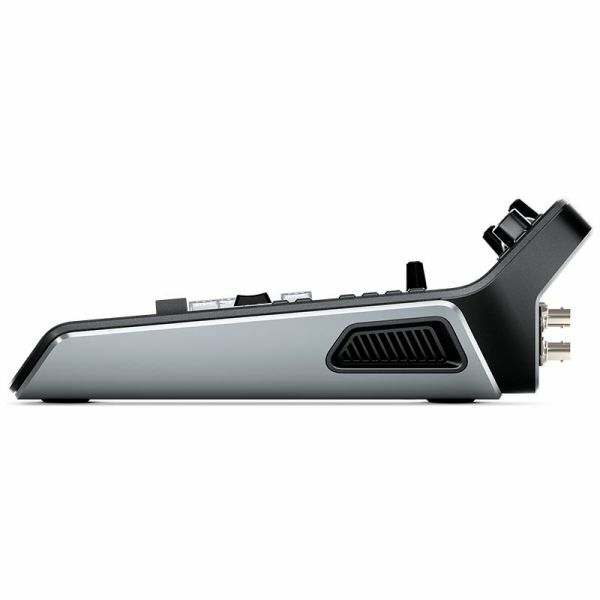 The software control also features a 10 channel audio mixer that can be used to adjust and balance levels from all inputs, including the analogue audio inputs. The audio mixer displays meters, has sliders for adjusting levels, and controls for turning channels on or off, using the audio follows video feature and more. 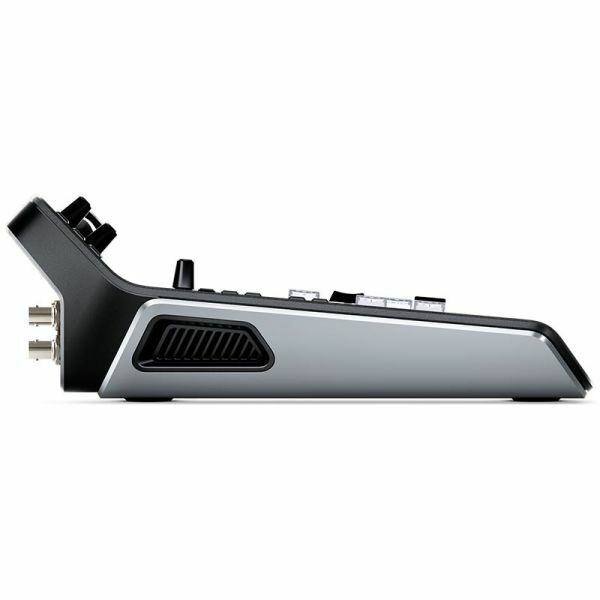 ATEM Television Studio Pro HD gives customers true broadcast quality transitions, effects and graphics. Transitions such as mixes, wipes and dips are done by simply pressing a button on the control panel. There are 37 included transitions, giving customers massive creative options because they can customize things such as border, border colour and width, position, direction and more. In addition, there’s a built in 2D DVE for adding digital video effects that can position, resize and scale live video, all in realtime. That means customers can create professional picture-in-picture effects, use DVE powered transitions like squeeze and slide between sources, or create graphic wipe transitions with their own graphics.